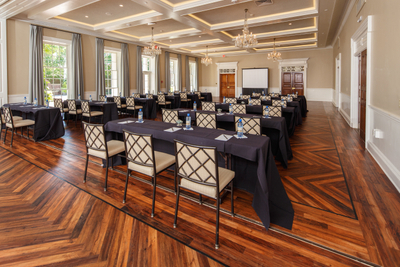 Finding a location for an important meeting or corporate event can be a challenge. 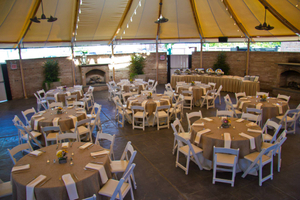 With so many options and locations to choose from, it may be difficult to choose the perfect location for your unique event. 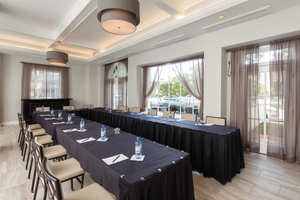 At the Tidewater Inn, we have a variety meeting venues in Easton that make exceptional places for any corporate function. 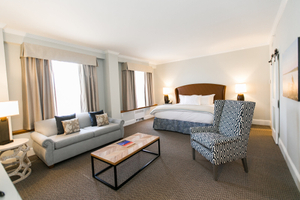 Our hotel's central location makes it convenient for your executives and team to reach, while our amenities and guests room offer a comfortable place for your guests to lay their head while away from home. Lastly, local entertainment destinations and our own Hunters' Tavern provide a space for team members to bond after a long day of meetings. 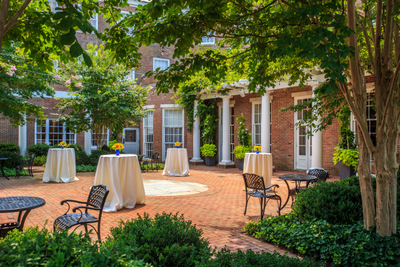 Read on to learn why the Tidewater Inn is the best choice for your corporate event venue. 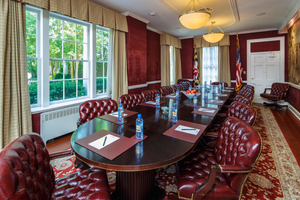 The Tidewater Inn offers a variety of Maryland meeting venues that are ideal places for business retreats, conferences, and training sessions. 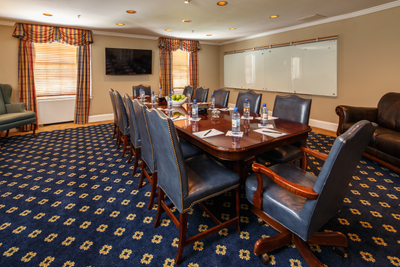 Our John Moll Boardroom is a quaint room designed for small meetings, decorated with plush business chairs, a sleek, custom wood table, and large windows that let in plenty of natural light. 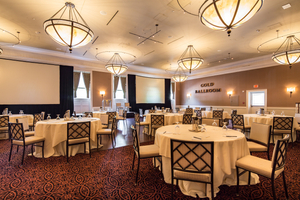 For larger events, the Gold Ballroom can hold as many as 200+ guests, letting big corporations hold charity functions, award dinners, and working retreats with ease. We also have other rooms that are perfect options for mid-sized functions and hosting breakout sessions. Our exceptional catering and event staff allows you to concentrate your efforts on training employees, joining enlightening conversations, and participating in constructive brainstorming sessions, rather than worrying about event details. Our experienced event staff is equipped to handle various functions and crowd sizes, so there's no reason to look elsewhere for help. 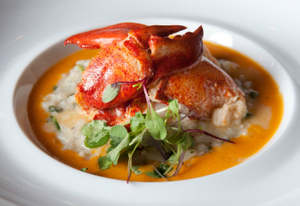 We offer full casual and fine dining menus to choose from when planning an event for your company. 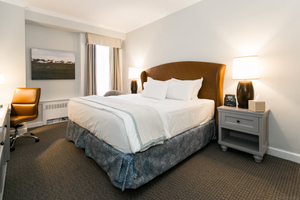 Our guest rooms offer pillow top mattresses and plush down comforters for a comfortable place to rest after a day of activity. Shower with luxurious European bath items, and be sure to enjoy lounging around in one of the plush robes we provide. We also offer corporate and social group room blocks and special rates for business travelers within your company. 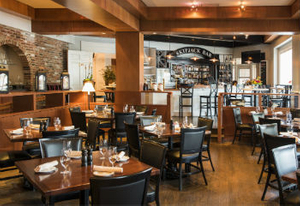 No matter what function you need to hold, the Tidewater Inn will give you a luxurious site to impress your employees or business guests. Stay over in the magnificent suites, visit Easton attractions, or simply tend to business. 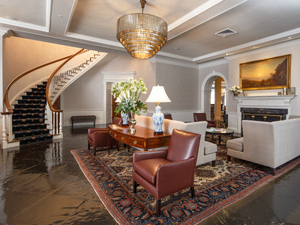 Whatever the occasion, the Tidewater Inn is your destination for corporate events. Request more information today! 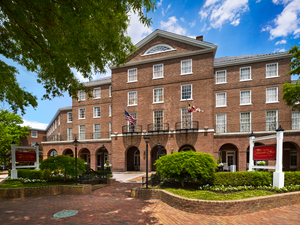 Classic yet exceptionally modern and stylish, the Tidewater Inn offers a refreshing take on the usual Easton Maryland inns. Nestled in the heart of Maryland’s picturesque Eastern Shore, the Tidewater Inn is more than just a place to stay; it is a place to be—to be relaxed, to be indulged, to be completely at home. Complimentary Lobby coffee until 11a.m.